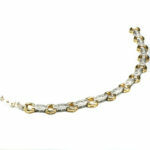 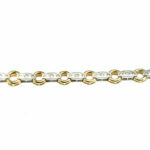 This 14kt two toned gold bracelet is perfect for every occassion. 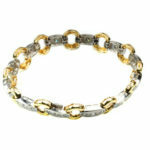 It can be worn every day; to work, to play and fancy enough for the perfect date night. The bracelet is enhanced with 36 round brilliant Diamonds for a total weight of 2.0 cts. 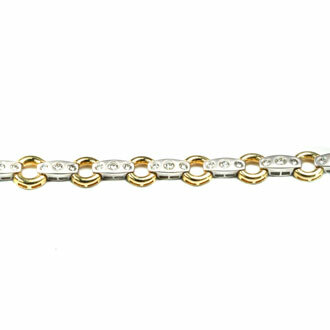 The links alternate between a round yellow gold link joined by an oblong white gold link that is enhanced by three “gypsy” mounted round brilliant Diamonds in each.